Evesham Township police are seeking help in identifying a flasher who exposed himself two teens. 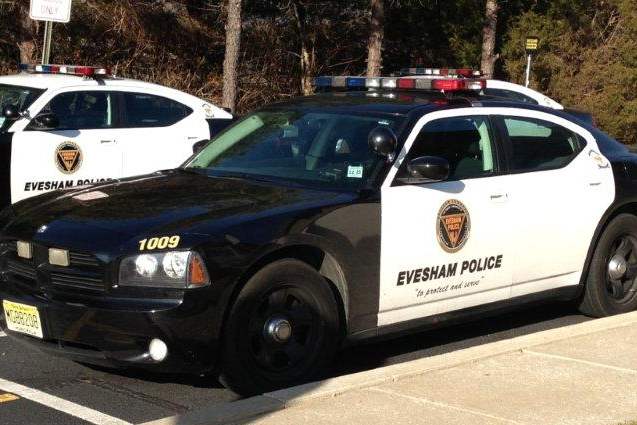 A South Jersey suburb will pay half a million dollars to assure that a program placing a full-time cop in each of Evesham Township’s schools remains in place, NJ.com reports. Officers began staffing each of the district’s 10 schools last December after an elementary school student carrying a fake gun tried to goad police into killing him, in a suicide-by-cop gesture. The township and school district had previously split the cost of patrols, but a vote on the district’s funding for the schools imperiled the program. The town is shouldering the cost for a year, and then hopes to devise a new cost-sharing program that again includes support from the district. To read the entire NJ.com account, click here.